Little Rock’s week in beer begins and ends with Lost Forty Brewing. Today for Freshcut Monday, it’s the return of Forest Queen Milk Stout, Lost Forty’s seasonal stout made with lactose and barley for a smooth, barely sweet finish. That’s available today at the taproom by the glass and in growlers, crowlers and six-packs to go. Then to end the week on Saturday, Lost Forty is bringing back its fourth year of Nighty Night Imperial Stout. The brewery’s annual rare beer release takes the Forest King Imperial Stout recipe and ages it in three different barrels for half the year. Nighty Night will be released on a limited basis at Lost Forty’s Festival of Darkness, which will see more than two dozen breweries pouring some of their tastiest brews, in addition to some excellent live music. The Festival of Darkness starts at 4 p.m. at Lost Forty. Tickets are $20 in advance and $25 at the door. You can get early VIP access for $10 more, but Lost Forty won’t start selling Nighty Night until 4 p.m. when the festival opens. Flyway Brewing last week doubled its canned beer line-up with the additions of Honeybird Blonde Ale and Early Bird IPA six-packs. Honeybird is the newest addition to the Flyway menu; it took the place of Migrate Pale Ale a couple of months ago. Early Bird has been on the board since Flyway’s grand opening. Flyway is hiring a mobile canning company to set up shop for a day and can on site. Owner Jess McMullen was excited about the partnership and hopes it will lead to even more canned offerings in the near future. Both Honeybird and Early Bird are available only at the taproom at the moment; they’ll soon join Bluewing and Free Range in grocery stores and liquor stores around town. This has been a great year for sour beers in Central Arkansas, and it just keeps getting better this week. 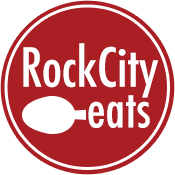 For its 4:30 Thursday event, Rebel Kettle is tapping Fuzzy Pumpkin Apricot Pumpkin Sour Saison. Fuzzy Pumpkin is a farmhouse-style saison brewed with pumpkin spice and apricots for a tart, citrusy take on fall. The last time Rebel Kettle brought out Fuzzy Pumpkin, it also released four other new beers at the same time, so you might have overlooked this one. You can get it by the glass and in growlers to go on Thursday. Last week we told you that Moody Brews was once again up and running at Vino’s Brewpub in downtown Little Rock. Later last week, Moody released its first brew in nearly two years called Dunbar Super-dry. This wheat saison is dry-hopped with Amarillo and Galaxy hops for a crisp, bone-dry finish. As of last night, Dunbar Super-dry is still on tap at Vino’s. Josiah Moody says you can get it by the glass or in growlers to go. Stone’s Throw Brewing this week is paying tribute to Belgium’s Trappist monks that famously brew some of the best beer in the world. For its #NewBrewFriday release, Stone’s Throw is tapping Wallonia Dubbel. Named after the beermaking region in Belgium, Wallonia Dubbel sports a deep golden color and a rich, fruity yeast with a sweet finish. It’s been years since I tried it, but I remember a strikingly balanced brew with malty accents and good complexity. You can try it for yourself on Friday at Stone’s Throw starting at 4 p.m.
And fans of Core Brewing will be pleased to learn that a seasonal favorite is coming back in cans to Central Arkansas. Core’s Hazelnut Brown is made with six different malts in the mash, for a smooth, intriguing profile. The hazelnut helps bring out some of the caramel notes, which make for a sweet, deep finish. You should start to see it this week at liquor stores and grocery stores around town. Do you have any beer news you want to share with us? 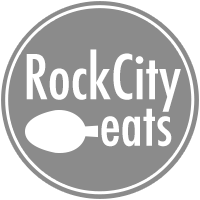 Email steveshuler@rockcityeats.com.